Submit completed VMC License Application and VMC Medical Form to the HVR Licensing Contact at the address shown above. 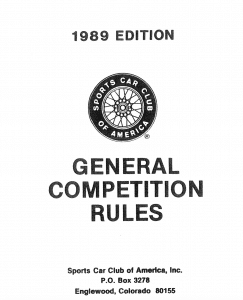 To be issued a license, the VMC requires that all competitors, regardless of your racing background, complete a vintage racing school. These schools usually run the course of a two- or three-day weekend, and must be completed fully without any incident or rule infraction. After successful completion of the school, three more full competition weekends as a Novice driver must be completed within a 12-month period – all without incident or infraction – in order to qualify for a VMC license. The license will then be issued by the VMC and sent directly to the driver. The expiration date will be based on the date of the doctor’s signature (medical form) and the driver’s age. To enter an HVR Vintage Racing School, competitors must be a current HVR member in good standing, and have submitted the aforementioned licensing application and medical forms. In addition, an entry form for the race-prepared car must have also been submitted. See the HVR Racing and Car Rules to ensure your vehicle complies. Following the successful completion of the HVR Vintage Racing School, the competitor will be issued a Novice Permit, and is eligible to enter in three more competition weekends in order to complete the VMC licensing requirements. At each of these events, the driver will be judged by the Chief Steward and the driver’s group peers. Please note: upon successful completion of each of these weekends, it is the driver’s responsibility to get the Chief Steward to sign off on his/hers Novice Permit.